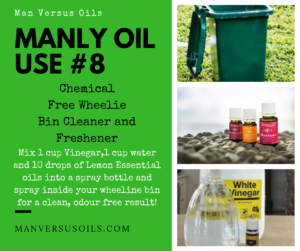 Well hello there and welcome back to Man Versus Oils, the site where we discuss all things manly in the world of Essential Oils and chemical free living. 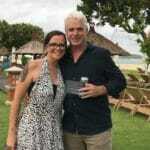 Today’s post is – as is common in this little journey I am on – prompted by a discussion I had with my beautiful wife over coffee the other day. We were discussing oils and I was regaling her with my scientific, hole-proof processes for assigning the ‘manly’ category to essential oils – If it smells manly it is manly, if it smells in any way like flowers, it is not manly – simple. “What about Rose?”, she asked – obviously not having listened to the interesting and informative gems that I had just given her. “Rose?” said I – perplexed. “If you looked up unmanly oil in the dictionary it would have a picture of Rose”. “That’s the one – I bet you can’t find a way to write about Rose Essential Oils For Men”. So I duly went home and started my research. I was absolutely going to find ways that men could use it – maybe one drop of Rose to 100000 drops of Northern Lights Black Spruce or something like that. But then I looked at the price… You know how you know something but sort of forget you know it – that was what happened here. 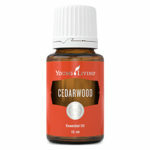 Three Hundred and Seventeen dollars per 5ml (and that is the members price – over $400 for non-members). So what can we substitute? petals (10kg) to distill 5ml of essential oil which is obviously why it is so expensive. I have smelled Rose oil once and it does smell like roses and actually smells quite nice – and at over $300 a bottle it’d want to I reckon. Some companies reduce the cost of it by ‘cutting’ it with Geranium – another not-so-manly essential oil. If this is sold as a blend then it is probably a good substitute, if not, then probably a little unethical. 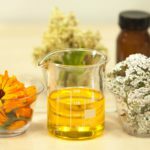 It is also one of the biggest tests of whether your oils are real – I mean if it takes around 250k petals to make 5ml and the oil sells for $10, then it is probably not real. Even if the roses weren’t purchased on valentine’s day. 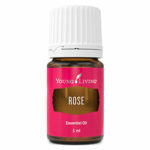 Rose essential oil contains many of the same compounds as other oils including citronellol, linalool, α-pinene, β-pinene, α-terpinene, limonene, p-cymene, camphene, β-caryophyllene and benzyl alcohol. Come on, I haven’t done any proper research in the last couple of posts – at least let me do some here. Anyway, as with most essential oils, studies into the actual benefits of Rose essential oil to the human body are limited at best. I did find a couple of human studies into its benefits as an anti-stress/calming agent and as an analgesic however both called for further studies on larger test pools. 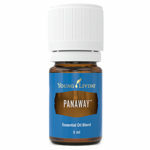 I did not find any research into its anti-inflammatory, antibiotic or astringent properties but that is not uncommon in the world of oils either. Again, it is a belief thing with trial and error to see if it is right for you as a chemical free alternative to off-the-shelf remedies. So, here we come to the ‘meat’ of the story. Based on my research in this, and other posts, here are some manly uses for rose essential oil that may be effective. Noting of course that there would not be a masculine aroma in sight – sorry had to get that in. Beard care – Take advantage of its anti-inflammatory and astringent properties to promote hair growth and keep your beard nice and fresh. Add 5 drops to some Jojoba or Grapeseed oil (coconut might just tip you over the non-manly line to a point of no return) and massage into the roots. Man-stress relief – add 5 drops (no more than that – this stuff is expensive) to the diffuser as a proven de-stressing and calming agent. Shaving cream – Use your Beard care recipe for a soothing shave solution. Muscle relief – Use its anti-inflammatory and anti-oxidant properties by adding to a carrier oil for a soothing muscle rub. Aphrodisiac – Light the fire and add to the diffuser to take advantage of its suspected aphrodisiac properties – after all, if it works then it is worth it at any cost right? Digestive relief – Rub 5 drops mixed with a carrier oil onto the stomach, wrists and behind the ears. As most of you know, I always try to make a point of being honest with my appraisals and uses of essential oils. On that note, I have not tried any of the above remedies or recipes due to the fact that we do not own rose essential oil – Something I did discuss with my wife at our initial discussion but if I am being honest and knowing what I know about oils, their properties and the compounds found within this oil, I tend to think that they might actually be effective. Except the muscle rub – I am very skeptical about that one. 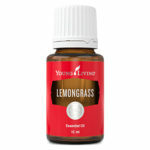 I actually prefer the lemongrass and cedarwood recipe myself and lemongrass has the same astringent properties as Rose. 2 drops Geranium ($69 per bottle) – Geranium is an extremely popular substitute for Rose. Lavender essential oil is a proven calming agent (albeit research is in infancy stages) and shares many of the same compounds (linalool, α-pinene, β-pinene, α-terpinene ) as Rose making it a very effective substitute. Shaving Cream – As with beard care, there are some fairly good chemical free shaving options here as well. 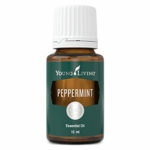 Peppermint is not as comfortable as the Frankincense but good if you like that slight burn from the menthol properties. I use this often and swear by it. This option is cheaper but in my opinion only second place by the slightest of margins to the best option. Black pepper ($32 per bottle) – black pepper? really? Normally here I would be telling you to go for the manly aroma of the Sandalwood as best and then Ginger as the most cost effective option. However, in this case it is not up to you so use these as a base and play with some blends until you find one you both like. Digestive relief – Peppermint has proven nausea, IBS and digestive relieving properties and at 40 bucks a bottle, it is by far the best option you have. So, whilst my findings here are admittedly a little loose as I have never tried or tested Rose Essential Oil for any of the uses listed, I would still have to question whether it is worth it. I base this on the fact that it is not more expensive due to quality rather just because of the distillation costs alone. I am sure it is great and obviously a favourite for perfumes etc. but from a manly point of view, I just cannot see the attraction. My wife tells me she has full intentions of purchasing it one day so when she does (notice I didn’t even bother saying ‘if’ there) I will test the bejoingas out of it and of course update this post.